What a day Novruz was! So many new beginnings, and while some beginnings start on their own, others rise from the ashes of those that came before. My new years was a ride of ups and downs. From unseeable obstacles popping out on my path, which I had no control over, to amazing people stepping in to help out. And then having a sudden load of happiness fall on my lap when I received a Google Alert on “food waste” and saw this very blog featured on the list! And in all that excitement, I watched the most tragic event, my computer absorbing its last charge of energy before it left my life forever. And yes, we know that nothing lasts forever, but we avoid believing in it for fear of the changes it could bring. Even this very period of springing life and budding future comes at the heels of a cold winter, when everything lay dormant, cold and dark. And my computer was a metaphor for that. It had a very difficult past. It came into my life suddenly and became a dear friend. It had its own share of troubles, from cracked screens, to near death experience, to actual death, and me spending lots of money trying to bring it back to life, because I wasn’t ready to let it go. And exactly two months after it was brought back to life, and came into my arms once more, I had to watch it die in the moment of so much joy and excitement. There’s no other explanation. It is a sign from the universe telling me to let the past be the past, because so much positivity is waiting for me ahead! And no matter how much energy, money, time and love we invest, some things aren’t meant to last. No tight grips of the hand, or breaking of your back, wallet and mind, will keep that special something in your life. It needs to be set free. Without much choice, I let go. It took a long time, but I’m finally able to embrace the ‘now’ of life. Realizing that instead of worrying about the future or trying to revive the past, it’s time to breathe deeper, speak softer, live calmer and love harder, because we never know at what moment our end may come. 2014 is going to be an amazing year- I feel it! And I can’t wait to see all the beauty, adventure and happiness, along with some sadness, it will bring my way. 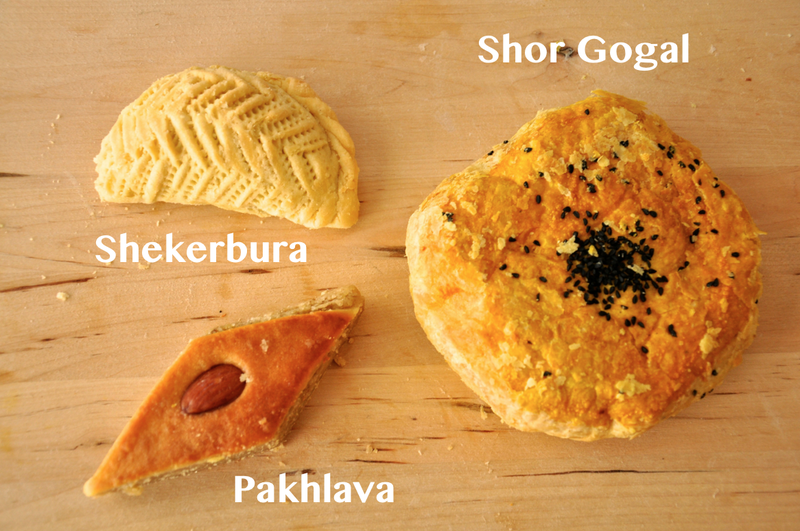 On that note, I’d like to share with you some beautiful Azerbaijani pastries that I mentioned to you in the previous post, that are now accompanied with pictures. As well as, debut my beautiful ‘samani’, which you can see above this post. It grew into a lush green field on my small plate and I couldn’t be more thrilled. If you’d like to see more, then visit the Say No To Food Waste Facebook page. I’d like to end this post by cheering to life, new beginnings and happy living! Posted on March 21, 2014 March 21, 2014 by saynotofoodwastePosted in BlogTagged Celebration, death, food, life, live for the moment, new years, Novruz. 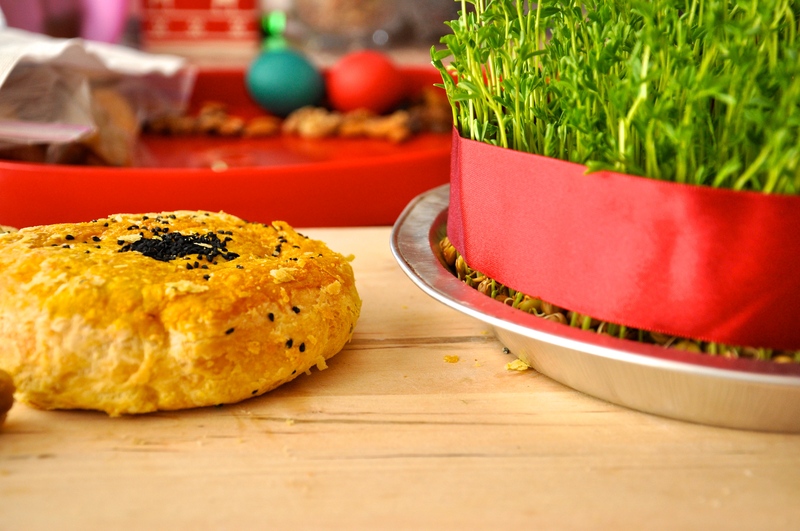 Previous Previous post: HAPPY NOVRUZ!